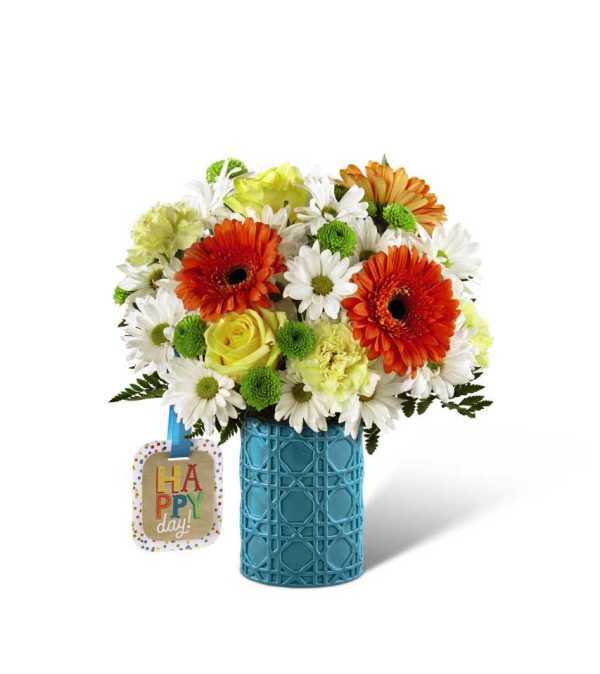 The FTD® Happy Day Birthday™ Bouquet by Hallmark is a bright and sunny way to celebrate with your special recipient on their big day! Blooming with color and life, this eye-catching bouquet brings together orange gerbera daisies and yellow roses, beautifully surrounded by white traditional daisies, yellow carnations, green button poms, and lush greens. 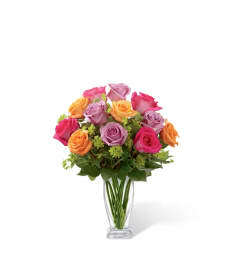 Presented in an attractive keepsake bright blue ceramic vase with an exclusive Hallmark tag that reads, "Happy Day!" 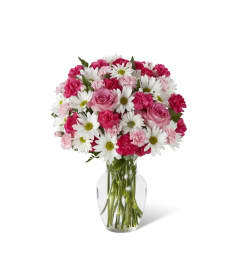 this fun and festive flower arrangement is ready make their birthday a treasured moment they won't soon forget.